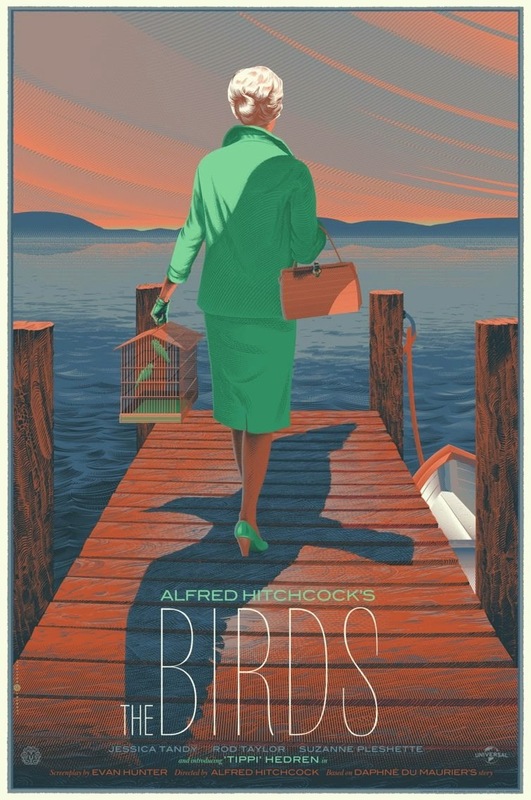 Monster Movie Posters: "The Birds"
One of the great Mondo posters to be released! 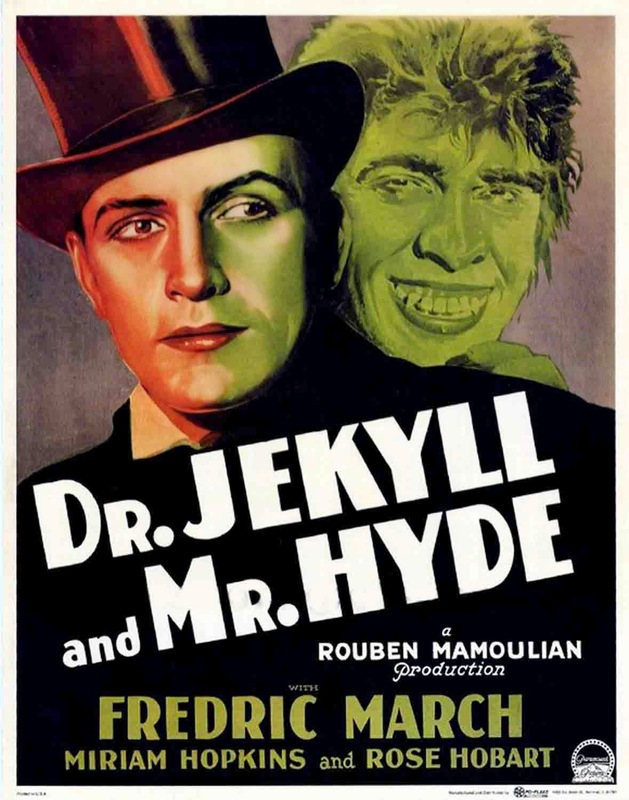 Fredric March as Mr. Hyde in "Dr. Jekyll and Mr. Hyde". 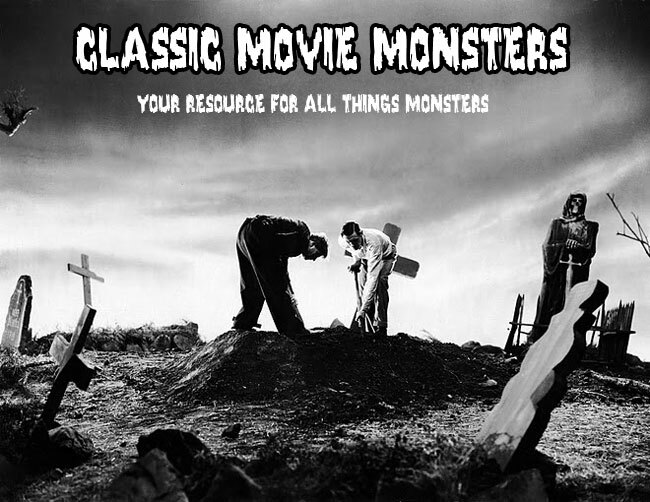 From Herman Munster and "Classic Movie Monsters"! 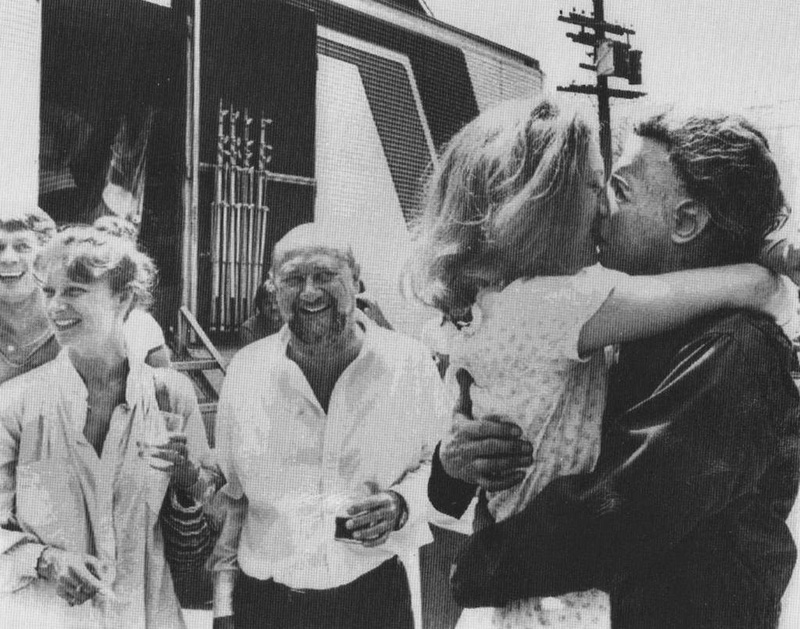 Jamie Lee Curtis shows Michael Myers some love as Donald Pleasence looks on. 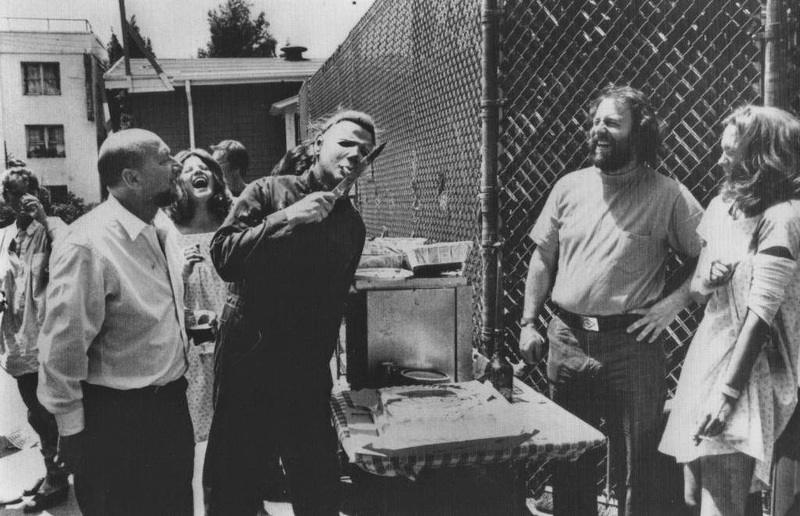 From the set of "Halloween II". 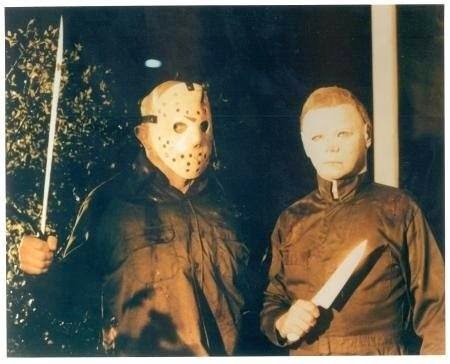 Two titans of terror fight to the finish! 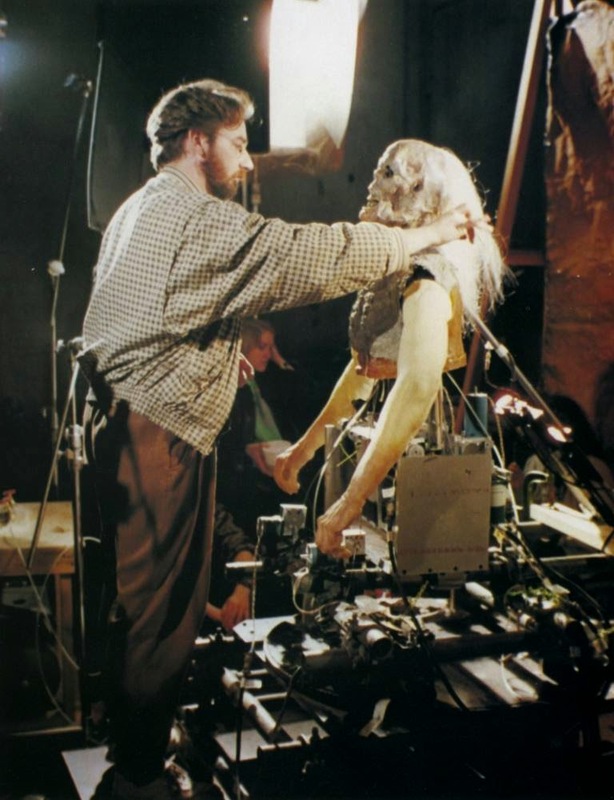 Here they are setting up the special effects scene of Donovan's death in "Indiana Jones and the Last Crusade". 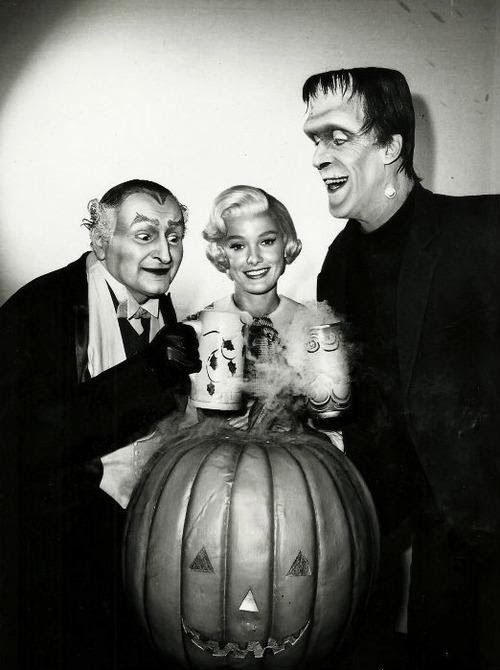 It's Always Halloween at the Munsters! 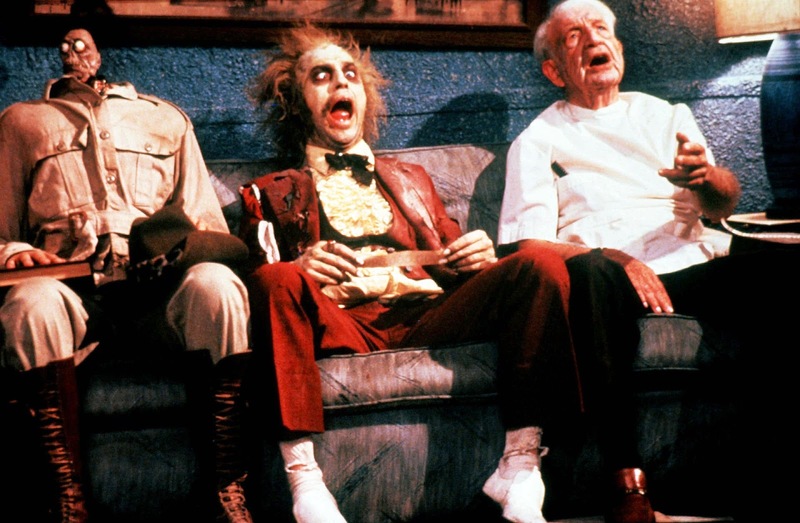 Grandpa, Marilyn, and Herman from "The Munsters". 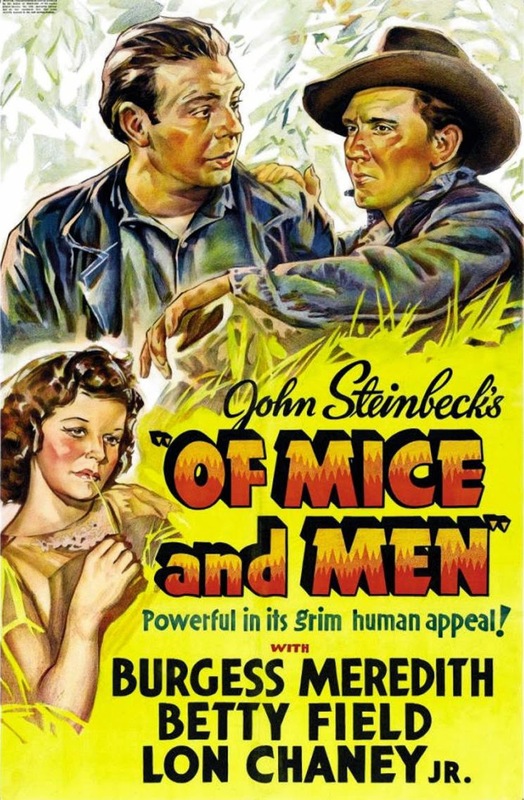 Monster Movie Posters: "Of Mice and Men"
Well, it's not a monster movie, but it stars Lon Chaney, Jr. in one of his best roles! 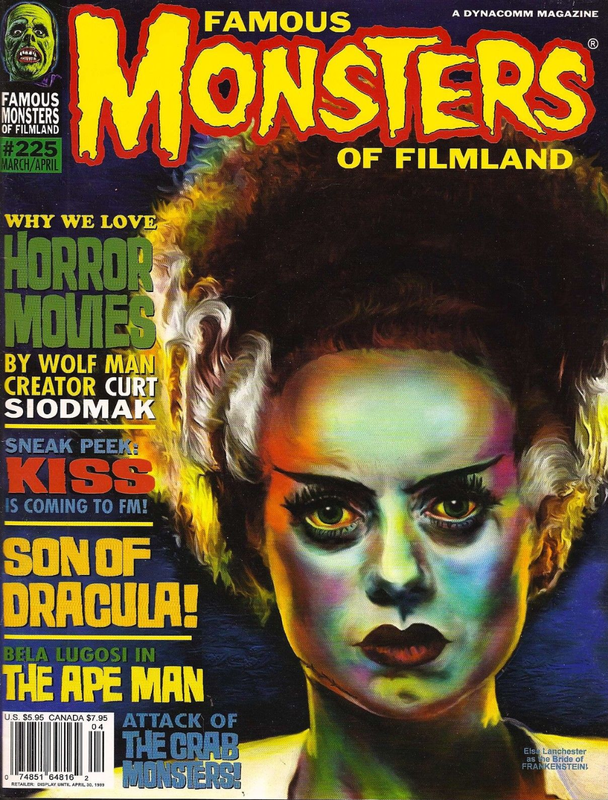 Here is a "Son of Frankenstein" piece from Feg Murray's "Seein' Stars" column. 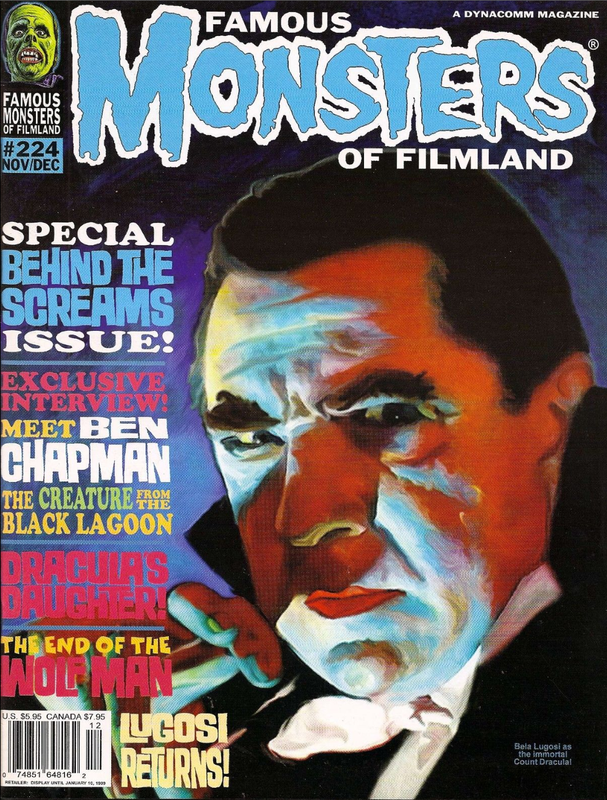 Who else had this werewolf paper decoration back in the 1980s? 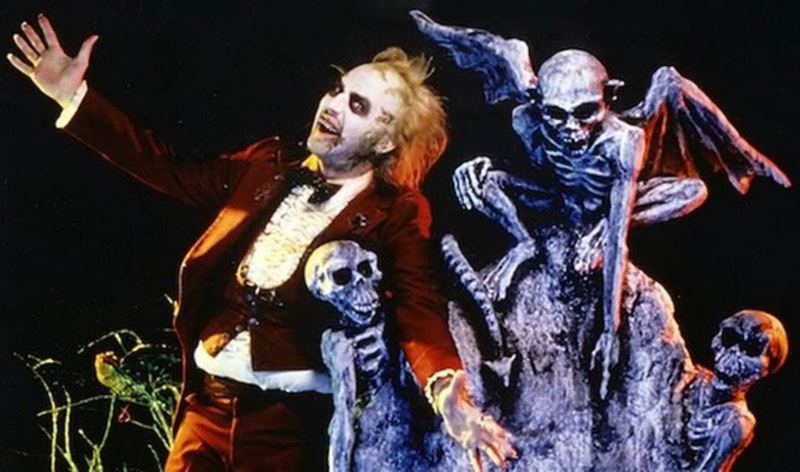 I loved these things. 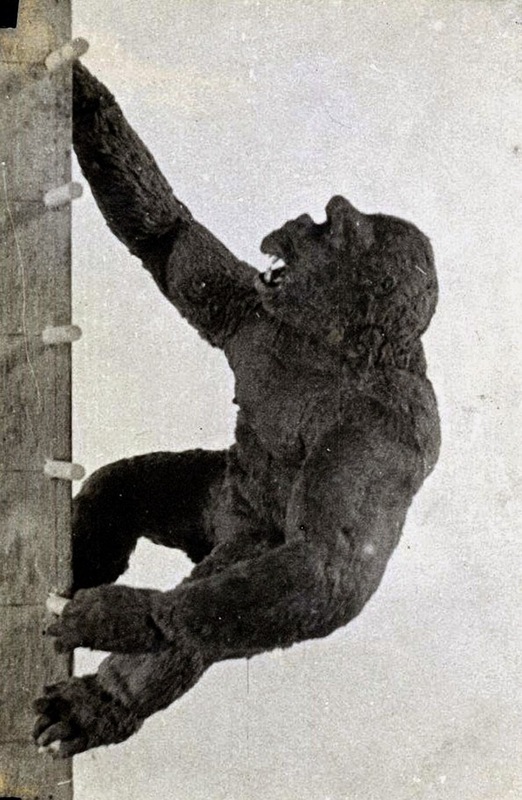 A great behind the scenes shot from the original "King Kong"! 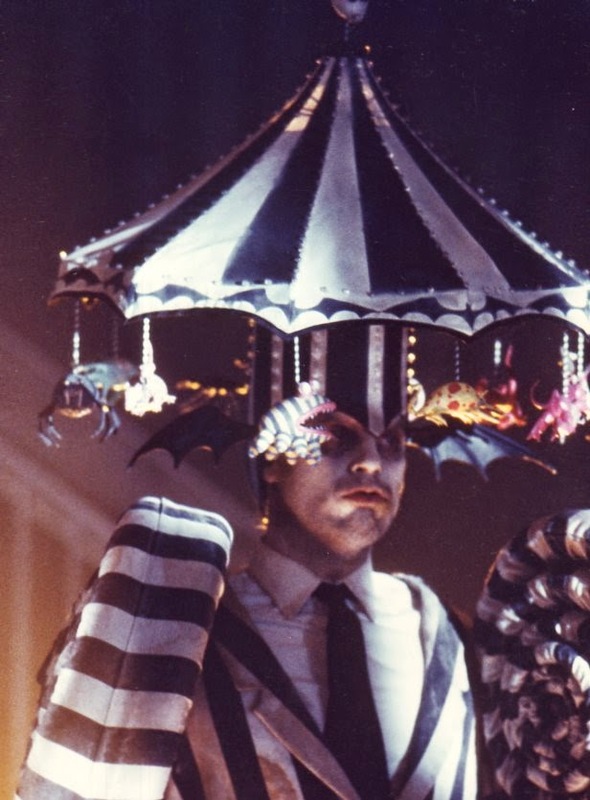 From "Dr. Phibes Rises Again". 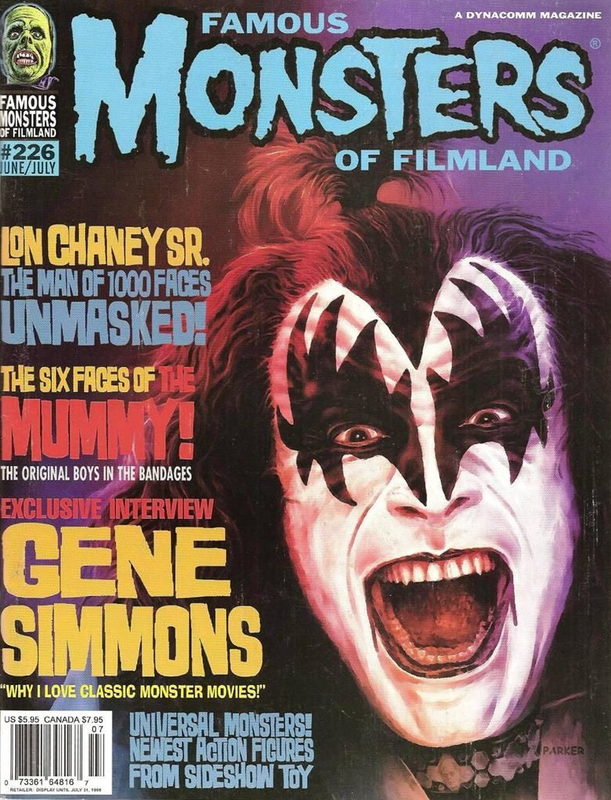 If I remember correctly, there were alternate covers of each KISS band member. Looking at the artist's signature on this piece, it looks like their name is H. Goode. 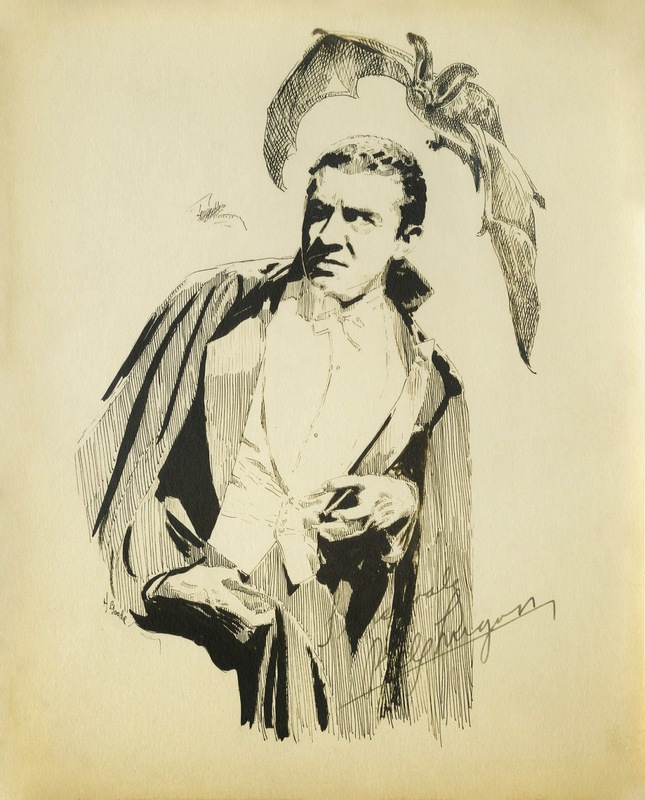 This must have been done quite some time ago as it is signed by Bela himself! It's Noomi Rapace on the set of "Prometheus". 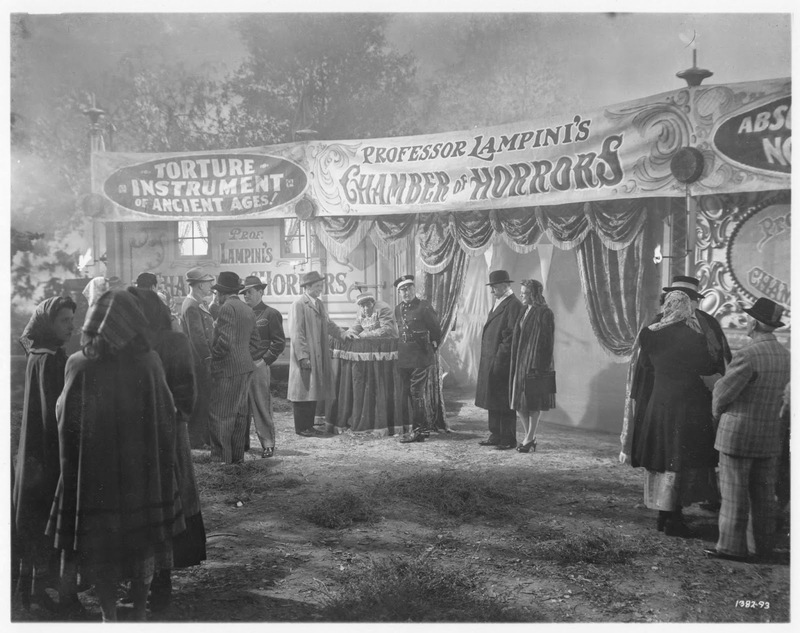 Where Hollywood Happens To You! A neat advertisement for Universal Studios! 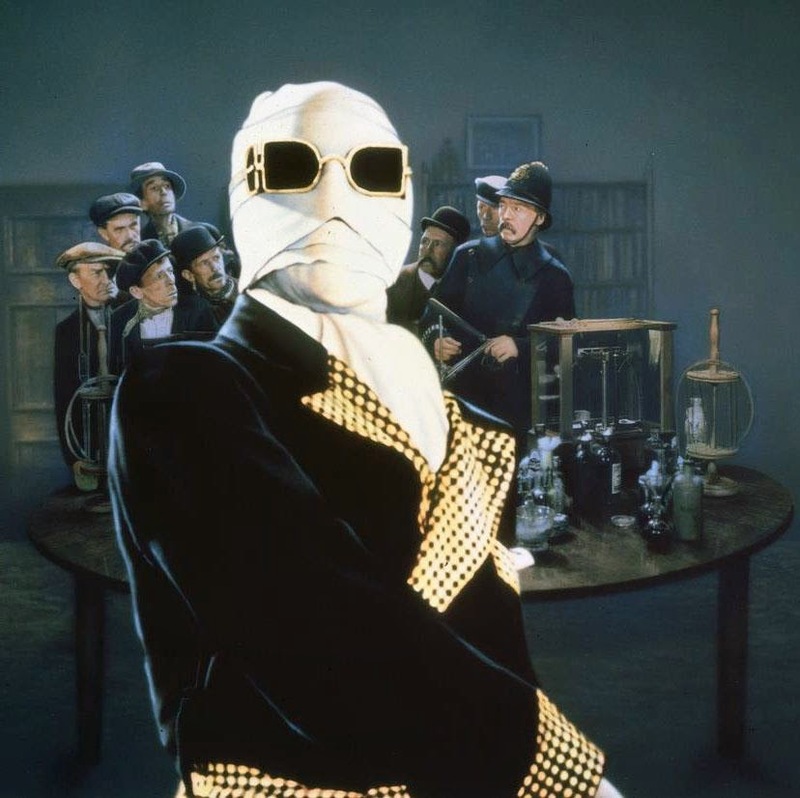 Monster Art: "The Invisible Man"
This is the great art that Universal used for "The Invisible Man" on VHS in the 1990s. 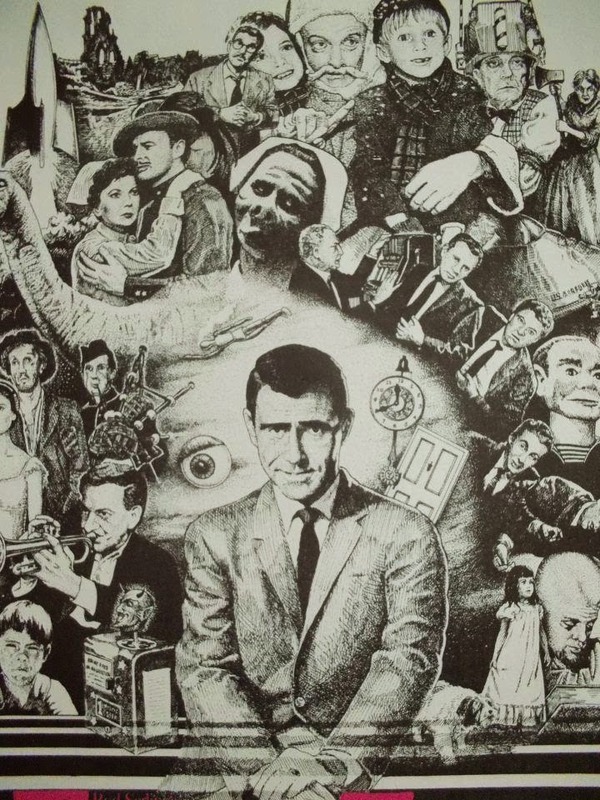 Monster Art: "The Twilight Zone"
See how many episodes you can find! 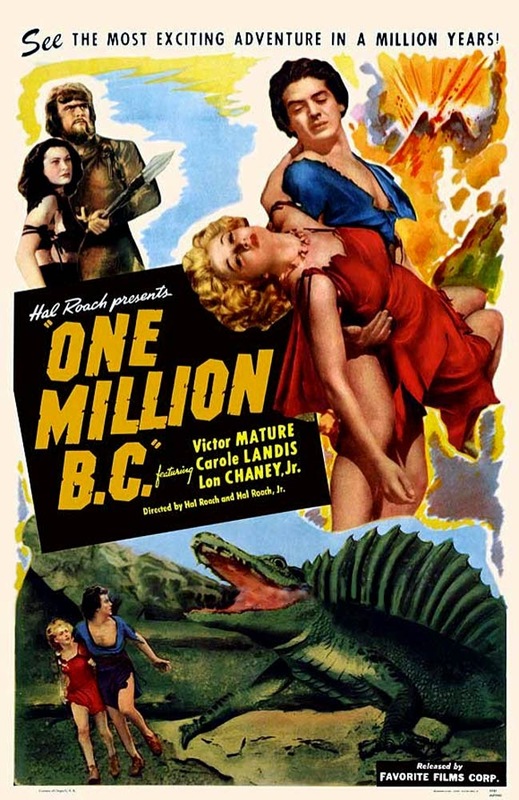 Monster Movie Posters: "One Million B.C." 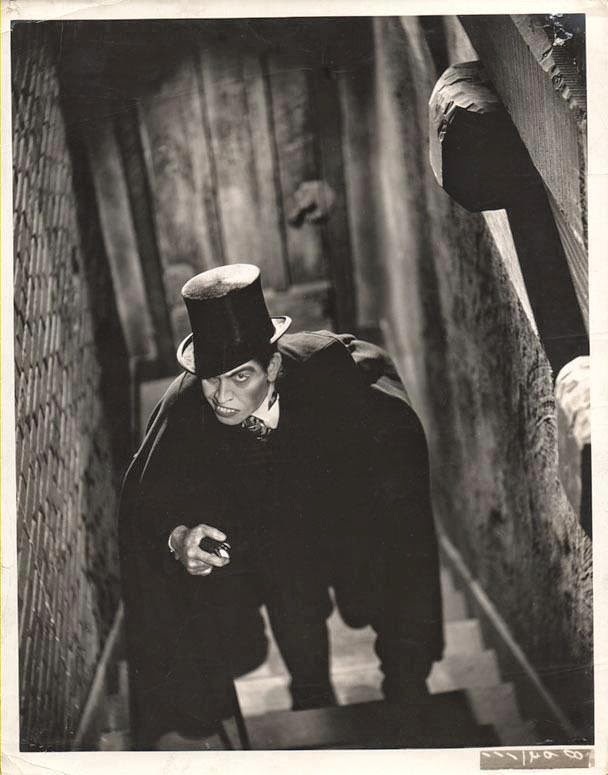 Bela Lugosi carries Helen Chandler down the eerie castle steps in "Dracula". 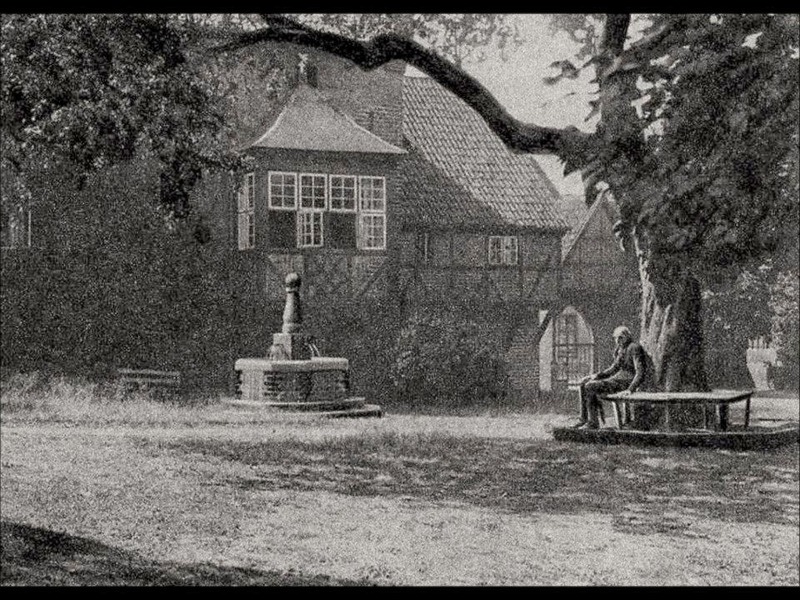 Who is Sitting Under That Tree? 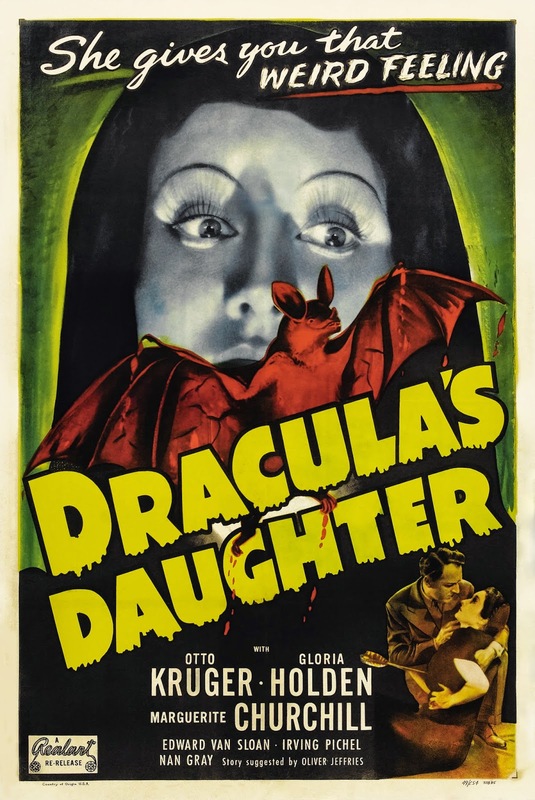 Why if it isn't Count Orlok from "Nosferatu"! 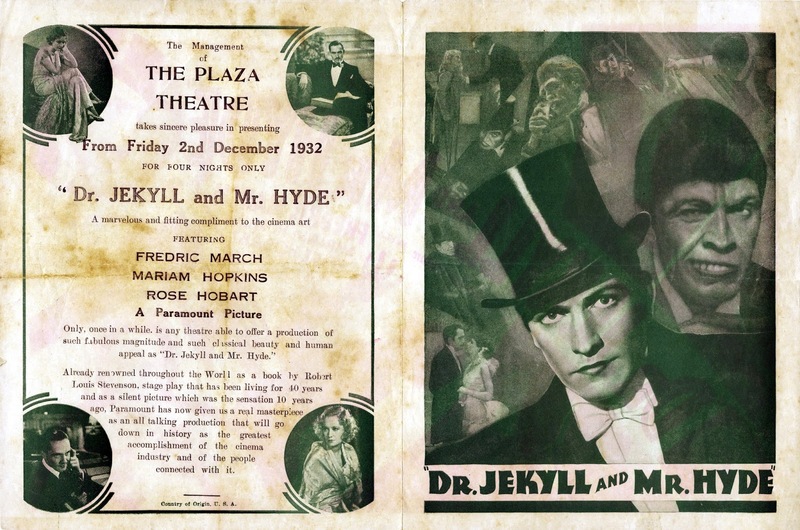 A Couple of Beautiful Dames! 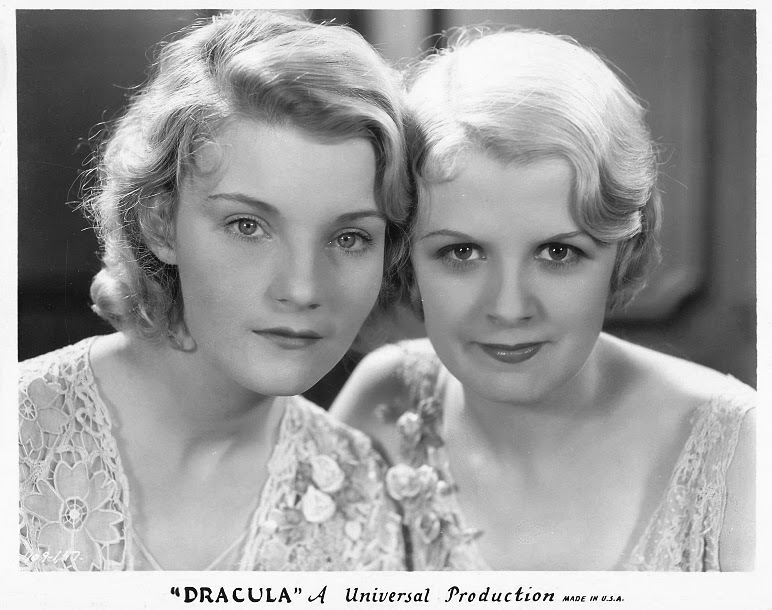 Helen Chandler and Frances Dade from "Dracula". 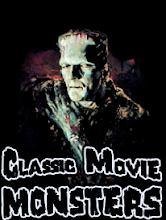 The Master Monster Painter is back with this beautiful rendition of Glenn Strange as the Frankenstein Monster from "Abbott and Costello Meet Frankenstein". 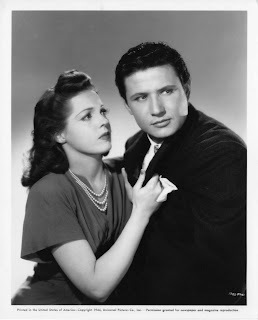 It's Peter Coe and Anne Gwynne from "House of Frankenstein". The Count is out on the town in "Dracula". 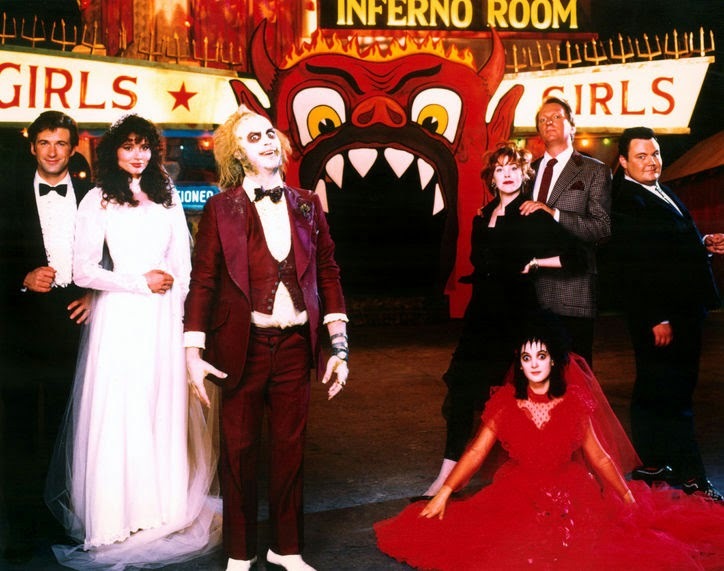 The cast of "Beetlejuice" poses in front of the Inferno Room. 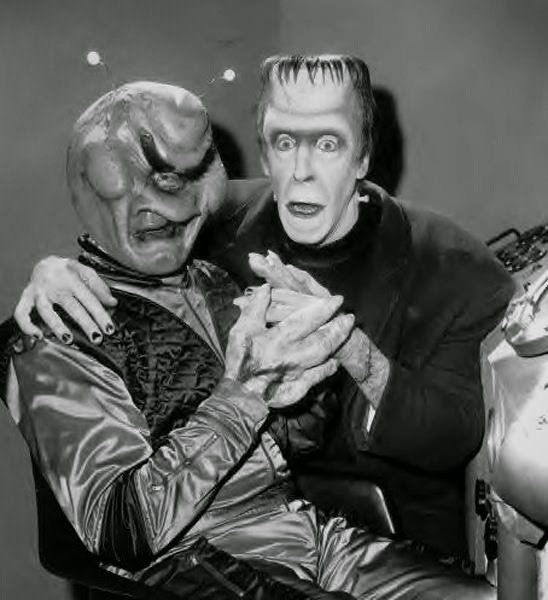 Here's Rick Baker with a life-sized Karloff as the Frankenstein Monster! 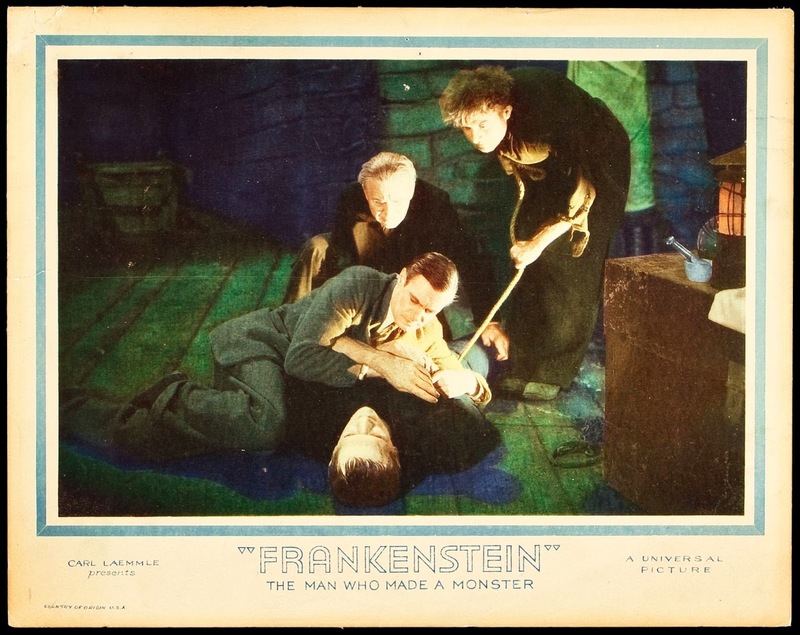 From one of my most favorite movies of all time: "House of Frankenstein". 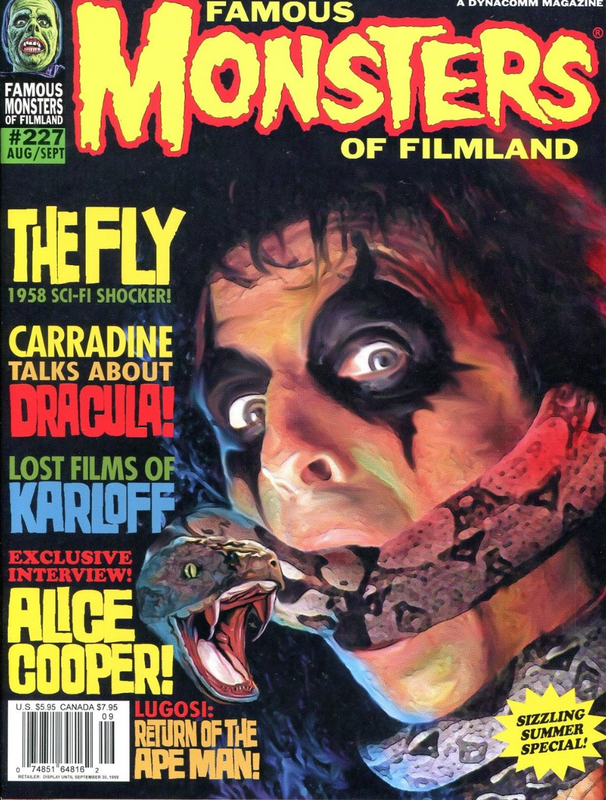 Here's a great piece which I believe was made for one of the "Halloween" comic book series. 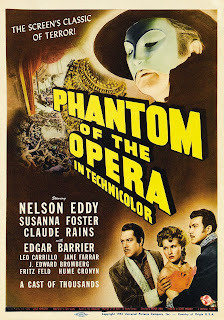 The artist is Nathan Thomas Milliner. 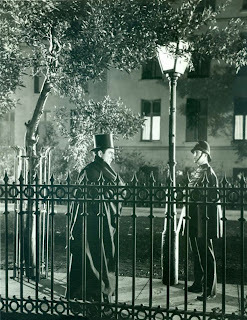 Here's a production still from a Western shot on the Universal Lot and the building that the cowboys are approaching is the same one used as Dracula's castle in "Dracula"! 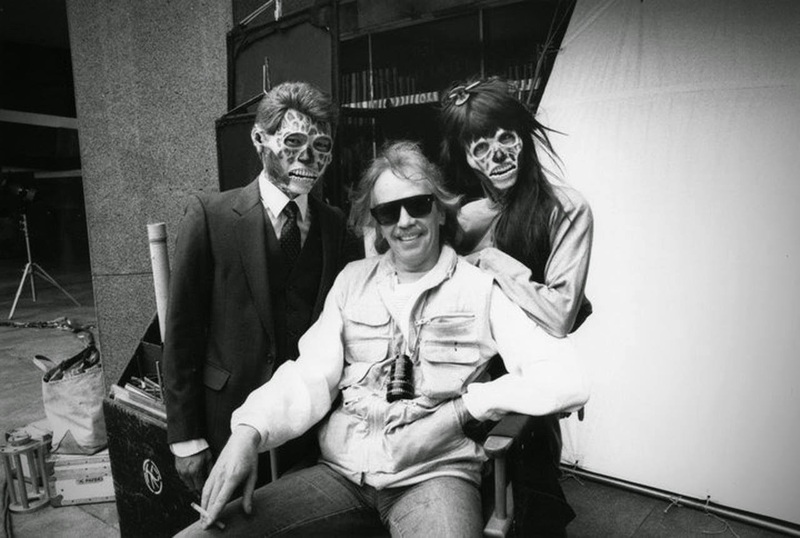 Director John Carpenter on the set of "They Live". 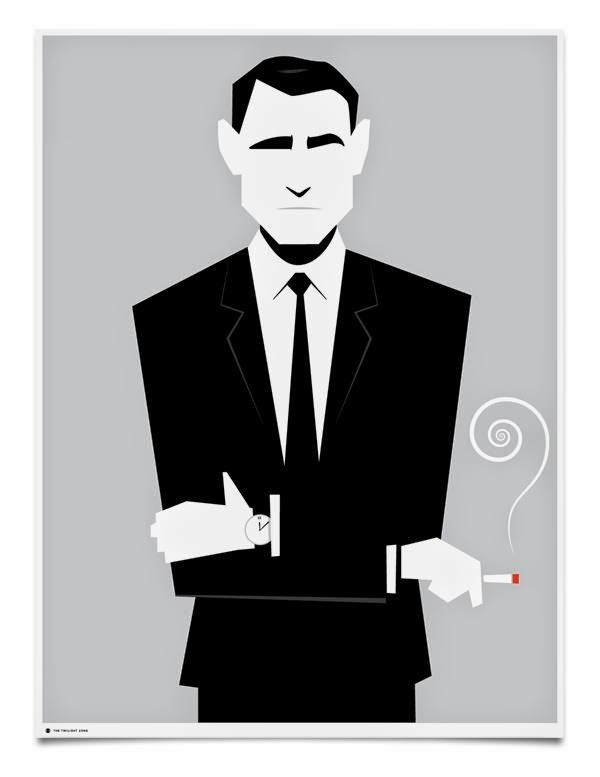 Here's a great stylized portrait of Rod Serling! 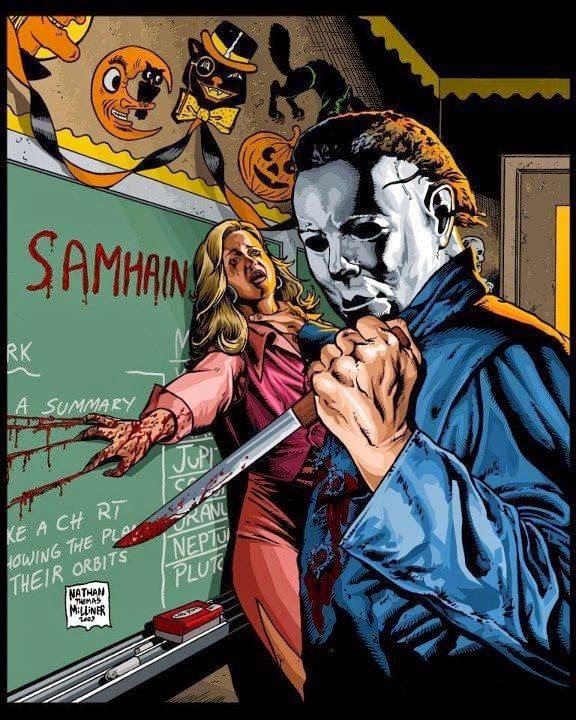 If you know who the artist is, please leave the name in the comments section. 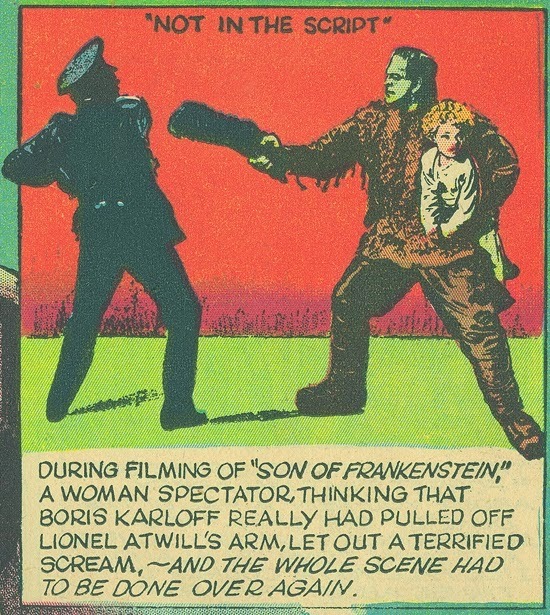 The Monster fights off several policemen in "Ghost of Frankenstein". 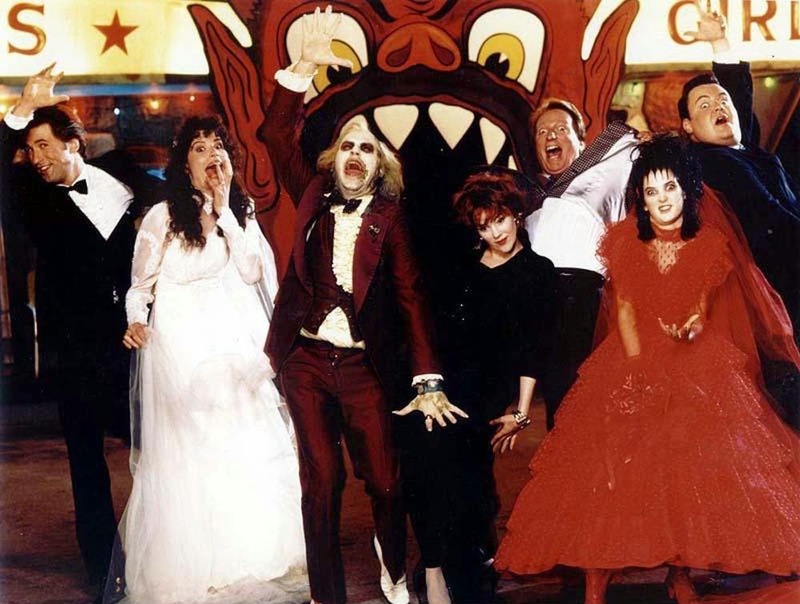 A great publicity shot from the early 1980s. 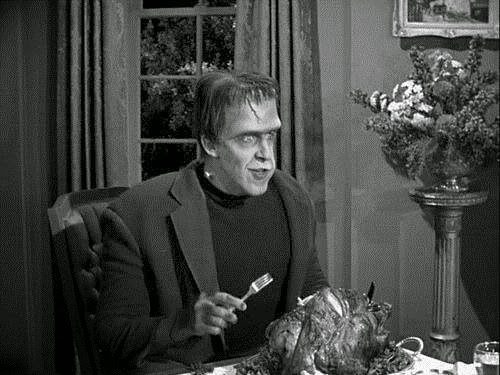 "The Outer Limits" meets "The Munsters"!